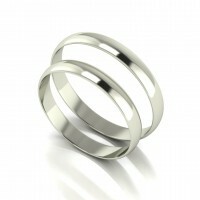 Our lavish wedding band range is the perfect way to say I DO. This stylish range has something to fit every style, budget and taste. The ideal way to add a special touch to your big day. 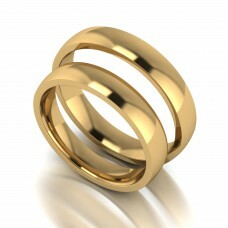 At incredibly competitive prices, this range can come in many different kinds of designs and metals. This set is our matching 18ct Yellow Gold court shape, wedding bands. They are considered to be light weight and have a width of 4mm. Please be aware that price is subject to change for different sizes. Please ensure to click which size you require and the price will change accordingly. All our wedding bands are fully hallmarked at the Birmingham Assay Office. Box is included within purchase.